At Apple Mountain Music, we can recommend instructors for virtually all of the folk instruments we sell. 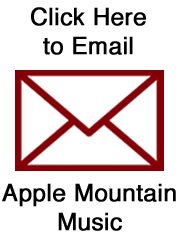 Use the links below to navigate or scroll down to see a short bio on some New Mexico folk music instructors. Anne Eisfeller is the Principal Harpist of the New Mexico Symphony Orchestra and Santa Fe Symphony, adjunct faculty at the University of New Mexico, and a harp specialist for the Albuquerque Youth Symphony. She also teaches at the Oklahoma Summer Arts Institute and performs with Assisi Musica in Italy, and the Coast, Britt, and Cascade Festivals in Oregon. She received her bachelor’s and master’s degrees with high distinction from Indiana University, where she studied with Peter Eagle and was his teaching assistant. She teaches and performs on both classical and folk harp. It was love at first sound for George when he heard the Mountain Dulcimer and the Hammer Dulcimer back in 1998. Although an accountant by profession, he is a Folk musician at heart and has been playing acoustic folk music on these two instruments ever since. George has taught hammer dulcimer in group and individual settings for several years. His former students range in age from nine years to, well, somewhat older than nine! He succeeded his teacher and mentor, Jeanne Page, as the instructor for the Introduction to Hammered Dulcimer course offered through UNM’s Division of Continuing Education. George also was a student of and performed with the late Michael Carlson, master instructor of the Mountain Dulcimer. George has been a member in a number of acoustic folk ensembles that have performed publicly in many venues from Albuquerque to Jemez Springs. He currently performs in Doublin’ with good friend and Celtic harper extraordinaire Kathy Mille Wimmer. He is available for instruction at Apple Mountain Music and you may reach him by telephone at (505) 897-0189 or by e-mail at gemiles47@msn.com. My name is Gretchen Van Houten. I play and teach several instruments and styles. I’m most well known for playing fiddle and guitar. I also teach mandolin, bass, banjo and some piano. I competed for fifteen years and was NM State Champion fiddler seven different years. I won the 1992 National Flatpicking Championships fiddle contest at Winfield, Kansas. I won the Western Music Association fiddle contest at Tuscon. I am a studio musician and occasionally play gigs with different groups. I started playing harmonica and guitar when I was four, teaching myself. I had nine years of classical piano training and five years of classical violin all between the ages of eight and seventeen. I started competing on the fiddle at age fourteen winning my first NM State Championship at seventeen. In those years I also taught myself banjo, mandolin and bass. I learned my competition stuff by ear from recordings of championship and world class fiddlers. There were no “slow-down” devices then. I did it the hard way. I’m glad. It was part of what taught me to be a true musician, not just a well trained technician. I teach from my experience using tools that best help people become who they are as musicians. I teach improvisation. I know how and it works. Leading students up to the beginnings of that skill I teach several styles including Western Swing, Cajun, Texas style, bluegrass, competition stuff, Irish, and am confident that I could help with whatever styles a student has already been playing. If you’re interested in learning from me I am happy to discuss your situation and your needs and give you my ideas of what I think would work best for your instruction and musical growth. Irma Reeder was born into a musical family, coming from generations of Ozark mountain musicians including several fiddle makers. Singing melody and harmony with her family long before grade school, her mother taught her to play an open-G guitar using a pencil as a noter before her hand was big enough to reach around a guitar neck. She taught her first guitar student when she was 10, and has been teaching and directing vocal and instrumental ensembles since a teenager. Irma has taught music privately, and in school and church settings. She studied vocal performance for three decades, and has also studied conducting. She has been soprano soloist with symphony and theater groups, jazz quartets, and performed with chorales and light opera and opera companies. Irma is music administrator and choir director at Faith Bible Church in Albuquerque, leads the Music for All Seasons duet, and the Wing & a Prayer cowboy/country Gospel/old-time band. She is the 2009 Colorado State Mountain Dulcimer champion. Irma teaches voice, guitar, Celtic harp and mountain dulcimer privately, and harp and mountain dulcimer through University of New Mexico Continuing Education and Apple Mountain Music Store. She also plays piano, keyboard, banjo, mandolin, ukulele, bowed psaltery, bodhran (Irish frame drum), tongue drum and marimbula (a giant thumb piano bass). Irma loves teaching and welcomes the opportunity to work with students of all ages and backgrounds to help them attain their musical goals. 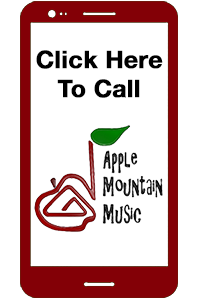 Dr. Julietta Anne Rabens teaches classical and folk harp at Apple Mountain Music. Julietta’s doctorate is in music composition from University of Nebraska-Lincoln where she composed a harp concerto for her dissertation. Her master’s degree in harp is from Northern Illinois University where she studied harp with Liz Cifani, and received training in Healing Harps from Dr. Ron Price. Julietta is passionate about the art of teaching and has enjoyed working with a diverse range of students. Her approach is flexible, assisting students in achieving their personal goals. Some unique areas of training and experience include working with gifted students, special needs, and helping students overcome performance anxiety issues. She has developed a series of graded harp pieces for adult beginners in four volumes called “Classics at Your Fingertips” which is available through Apple Mountain Music. She has created a variety of fun theory games for children to learn through play. In addition to being well grounded in technique, students are encouraged to explore a wide range of repertoires including classical and folk traditions from around the world, such as Celtic and Latin American harp. As a composer and improviser, Julietta has performed with the “Key’s Please” experimental ensemble from Minneapolis MN. She brings her enthusiasm for new music and ideas to the lesson studio by encouraging student creativity through jazz and free improvisation and composition. Miranda Rensberger has been playing music for as long as she can remember, beginning with a Fisher-Price glockenspiel. She began her formal study of music at age seven with the piano, and has been playing the lever harp since she was twelve. Miranda has many years of experience performing in both solo and ensemble settings and was a founding member of the group Harps of Enchantment. In addition to piano and harp, Miranda has also studied violin and recorder; however, her primary instrument is the harp. Lessons with Miranda will include mastering harp technique, reading music, music theory, overall musicianship, and performance etiquette. She will emphasize proper body mechanics to avoid injury while playing. Miranda is able to teach a variety of musical styles, including Celtic, classical, and New Age. Miranda’s main goal is for students to love playing the harp. Miranda believes that ensemble playing enhances one’s musical skill; therefore, once the basics are mastered, students are encouraged to join a harp circle. Miranda accepts lever harp students age 12 and up, with all levels of previous musical experience.